We play rock and roll from the 60's to today, along with some folk and jazz. Influences include the Beatles, Gin Blossoms, REM, Janis Joplin, Billie Holliday, Led Zeppelin, and the Moody Blues. Friday May 10, 20189 from 7-9 pm - We'll be performing totally unplugged at the Art Alliance of Central PA annual Mother's Day Show and Sale. Come enjoy our blend of jazz, blues, and classic rock as you peruse the art offerings. Saturday May 11, 2019 at 2 PM we will be performing at the Fun Fair, located at the Friend's School on University Drive in State College, PA. There are lots of activities from 10 AM until 3 PM! Monday May 27, 2019, from 2:30-4:30 PM - Join us as the town of Boalsburg, PA celebrates Memorial Day! We'll be performing on the front porch of the Boal Mansion. Friday July 5, 2019 at 6:00 PM - come warm up with some of the wonderful wines offered by Happy Valley Vineyard and Winery. We'll provide the tunes as you celebrate your friends! Friday July 21, 2019 at 6:00 PM - come enjoy a Happy Valley summer with some award-winning wines at Happy Valley Winery - I'm thinking some "Meritage" or some "Cabernet Sauvignon" would be great- how about you? 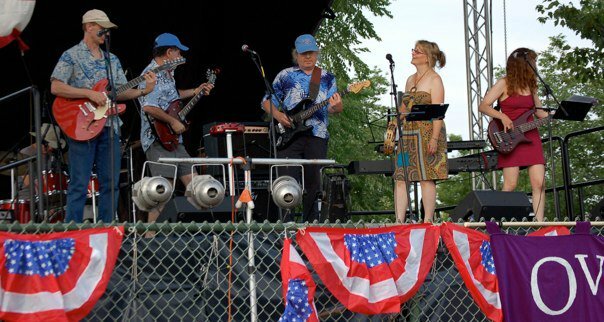 Friday August 9, 2019 at 7:30 PM - we return to the Lemont Village Green in Lemont, PA for one of their Friday Night Concerts. This is always a relaxing concert. There are plenty of picnic tables available - come early for a picnic supper! Friday September 6, 2019 at 6:00 PM - enjoy a late summer evening with some of the wonderful wines offered by Happy Valley Vineyard and Winery. We'll provide the tunes as you celebrate your friends! The links below provide you with lyrics for our original tunes as well as some MP3 files. 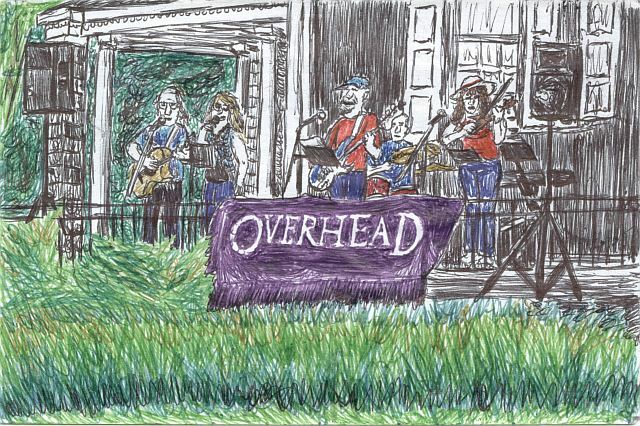 We were honored to have Jim Price from Pennsylvania Musician Magazine do this pen-and-ink sketch of us at our May 26, 2014 performance at the Boal Mansion as part of their 150th Memorial Day celebration! Look for us again on Central PA live this year on 5 July at 4 PM!